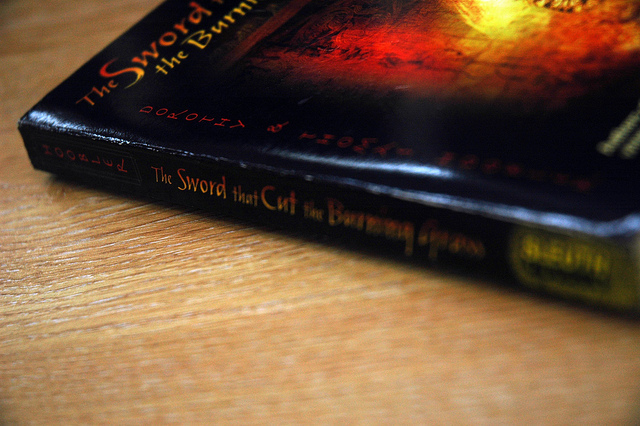 The forth book in the Samurai Mysteries series by Dorothy and Thomas Hoobler is called The Sword that Cut the Burning Grass. I have already read the first 3 books in the series Ghost in the Tokaido Inn, Demon in the Teahouse and In Darkness, Death which all had their individual and overlapping merits. I wondered after devouring 3 books just how much longer this series would keep me interested but the forth book didn’t disappoint and although I took a while to read through, it was not due to lack of interest. The Sword that Cut the Burning Grass continues the story about a young shogun samurai named Seikei who was formally a merchant’s son but was adopted by the well respected samurai and magistrate Judge Ooka. The forth books has Seikei being sent on a mission by the Shogun himself but soon finds himself wrapped up in a sinister plot that threatens the Emperor, the Shogun and all of Japan. The young emperor of Japan is refusing the do his ceremonial duties, he runs away from the royal palace and is then kidnapped by a shadowy group hatching a plan to overthrow the Shogun using a sacred sword said to be unbeatable in battle. As expected the writing of the Dorothy and Thomas Hoobler continue to bring the story and the era it it is set in to life. Seikei is far more mature than he was in the previous stories and takes the leading role in this story more so that in the previous ones. I would have loved to have Judge Ooka more involved but that disappointment was lessened by the wide cast of involved characters most of which were quite memorable. The series continues to be a fun history lesson as well and provides great historical context and detail about the shogun, emporer and explanation about how Japan was ruled back in those days that even those who are not crazy about Japan like me would appreciate. The main “bad guy” though wrapped in mystery didn’t come across as “evil” enough and although Seikei’s life was seriously threatened on many occasions supporting cast was always one step ahead of him and victory including in the final confrontation and battle was a bit underwhelming and predictable. I’ve already started the first few pages of the fifth book A Samurai Never Fears Death so look out for more from this series from me in the future. Vote in the poll below and leave a comment! 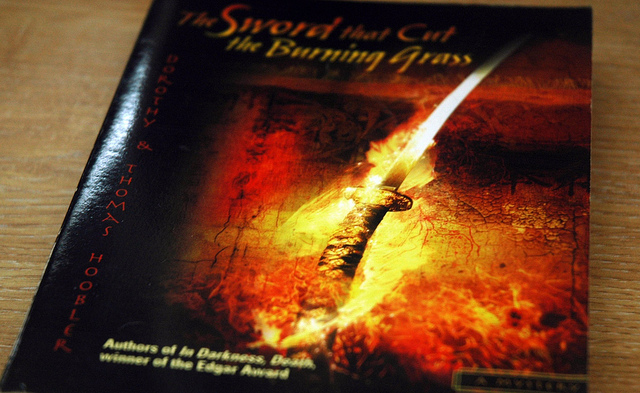 Interesting in buying The Sword that Cut the Burning Grass? check it out on Amazon. Of Course! I'm your regular bookworm. I occassionally read through an interesting book. Newspapers, magazines and websites mostly. Manga releases are all the reading I need. I'm reading this blog post now, does that count? I was looking for something to read lately and I’ve never knew about this series so I guess I’ll give it a shot!